FV-2010 LED Film Viewer is developed according to the Norm of ISO5580 Industrial radiographic illuminators - Minimum requirements. Inherited fine traditions of FV-2008 and FV-2009, adopt powered LED area light source, enable the viewer to high luminance and excellent uniformity, theoretical lifetime span up to more than 50,000 hours. 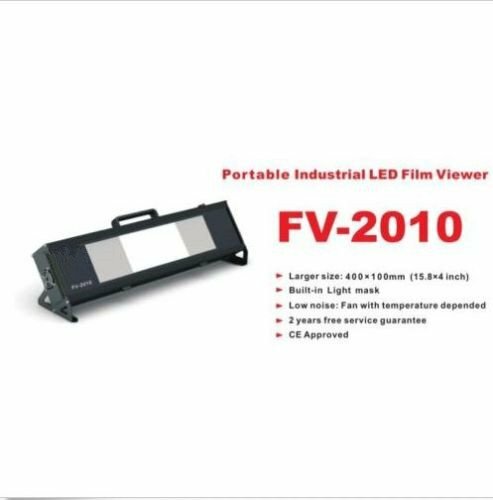 As a new member of FV series LED film viewer, thanks to its large window design, FV-2010 is extremely suitable for fieldwork where large film was used. Can view films to 4.1H/D, meet the needs of daily use. It adopts constant current power which is specially designed to the viewer. With its help, the LED will be protected notablely, so the lifetime can be extended. For the sake of Safety use, low voltage PWM unlimited dimmer is used. Foot mode and hand mode are equipped.